Each ranch has its own registered brand. 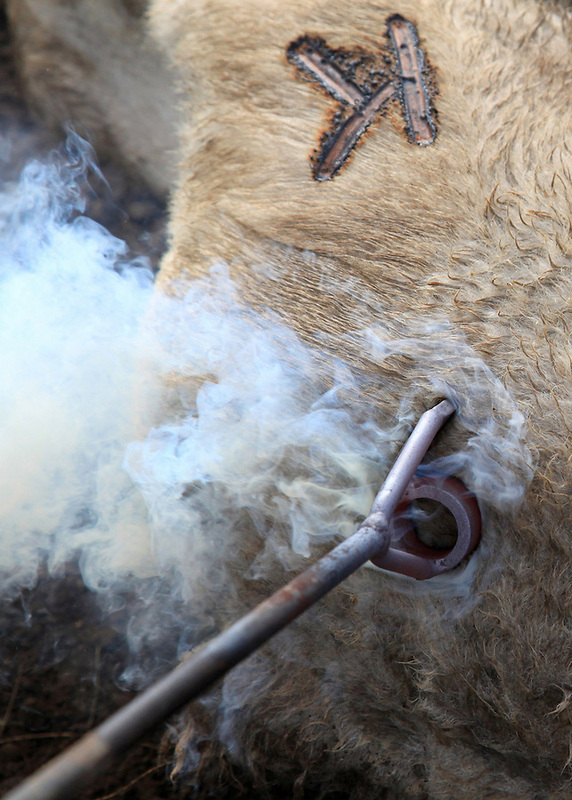 Here, a calf is branded with a "K" to show that it belongs to the Kainoa Ranch in Waimea, Hawaii. Goddfrey Kainoa, who, through the Haiwaiian Homelands Commission Act, leases a piece of land on which he raises a small herd of cattle and is one of the original descendents of the Mexican vaqueros who taught the Hawaiians their cowboys skills.